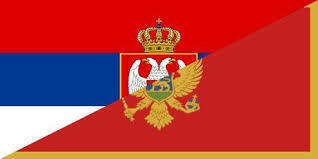 Serbia hosts Montenegro in a match from Group 4 of League C of the UEFA Nations League. Let’s take a look at this very interesting Balkan derby from the competition. Serbia are currently leading the group with 8 points won from 4 matches played, but their next opponent Montenegro are following with just one point less in the standings – 7. This means that the way the standings looks right now could change. Montenegro have the chance to lead the group, but only if they win in Belgrade. This is a really exciting game, because these two nations were one country just a few years ago. You can expect a lot of drama and passion between these two sides, including among the fans. The first round between them was won by Serbia, who beat Montenegro with 2-0 earlier this year. Now Montenegro are looking for redemption. And for the first place in the group, of course. Serbia are still unbeaten in this group. They have a record of 2 wins and 2 draws so far. In their last game they made a 0-0 draw during the visit to Romania in Bucuresti. The Serbian team had a very good chance to win, but Ajax’s Dusan Tadic missed a penalty kick in the end of the first half. Romania also played the whole second half with 10 men on the pitch, but they still didn’t concede a goal. Montenegro on the other hand are having a record of 2 wins, 1 draw and 1 loss since the start of the campaign. In their last game they enjoyed their second win, beating Lithuania with 4-1 in Vilnius. Stefan Mugosa scored a brace for the Balkan team, while Boris Kopitovic and Darko Zori also scored for the visiting team. This is our preview for the Nations League Balkan derby between Serbia and Montenegro. Good luck!